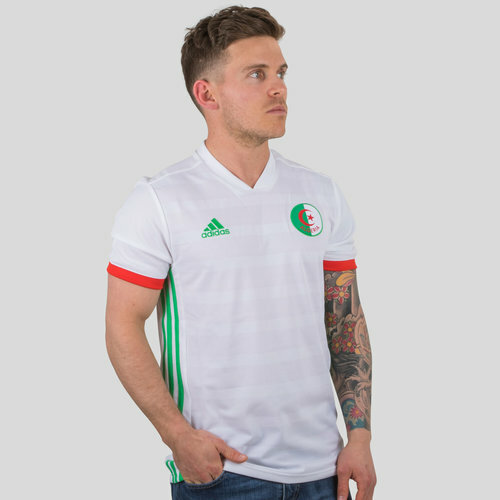 Traditionally Algerian in colour and design, stand out on the pitch with the Algeria 2018 Home S/S Replica Football Shirt in White, Green and Red from adidas. With white providing the base colour, a subtle cross knit reflects the quality of the design and slight touches of red shows off the Algerian colours. The adidas logo and three white stripes are also displayed in green for an extra touch of class.